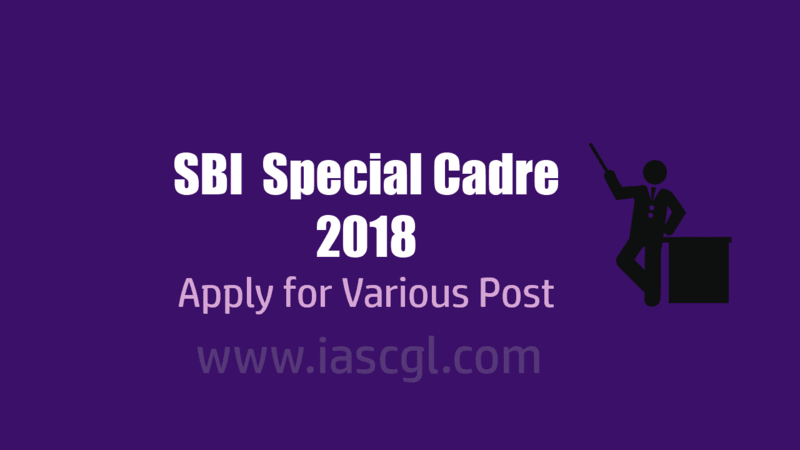 State Bank of India Release Recruitment notice for Special Officer 2018, last date is February 15, 2018. State Bank of India invite online application for the recruitment of Special Officer. In a notification released by SBI, eligible and interested candidate are called for online application for the SO recruitment. Candidate should be Graduate / Post Graduate from Government recognized University or Institution. Candidate should be a certified advisors NISM/CWM. Candidate should have 3+ years work experience in the concerning field. For detailed eligibility, click on official notification. SBI Release Notification for 407 Special Officier Vacancies.